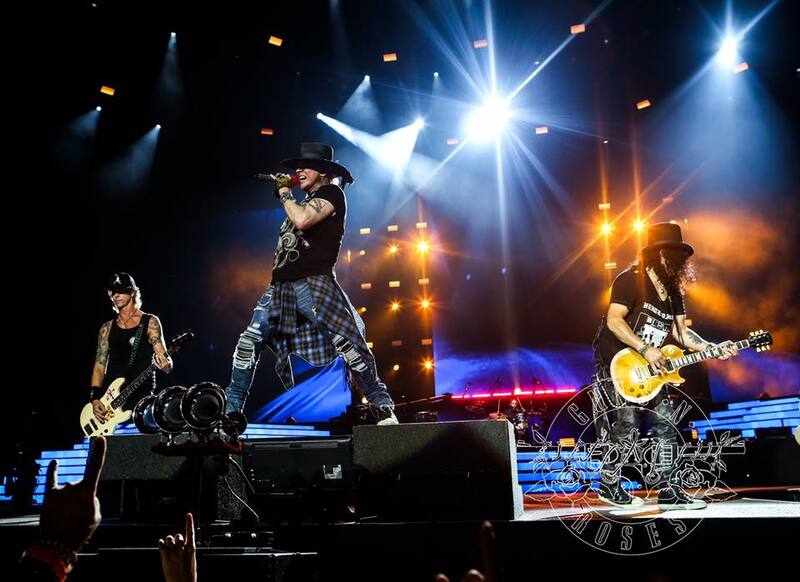 Guns N’ Roses have extended the Not In This Lifetime Tour into a third year with the addition of summer 2018 concert dates across Europe. "It's great to have this iconic line up of Guns N” Roses headlining at Download," promoter Andy Copping said in a statement. "I am sure I am not alone when I say I have been wanting this to happen for years. It will be an incredible show and will be one of the highlights of the Download weekend." Tickets for all of the non-festival dates will go on sale Thursday, November 16 at 10 AM local time. The reunited trio of Axl Rose, Slash and Duff McKagan are currently playing shows on a fall North American leg that will wrap up at The Forum in Los Angeles, CA on November 29.